Great photos, but please give the locations of any [to those that no refer] and refer some information about each, if possible, as koseku also mention. Great photos, but please give the locations of any and refer some about each, if possible, as koseku also mention. You are saying rubbish. First of, the double headed eagle is not an uncommon symbol and it has been used in the past by different empires. wow great photos from Türkmenistan Camoka, thanks for sharing it! it is not a well known tourist destination so very interesting to see pictures from there. The double-headed eagle is an international symbol and it was actually always present in human civilization. 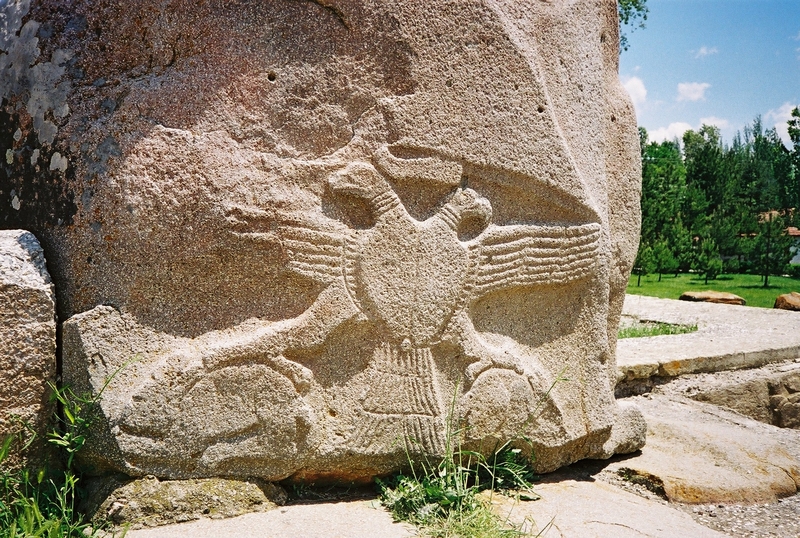 The oldest double-headed eagle symbol can be found in the archeological remains of the Hittite civlization. Thank you..Yes, alot to see there and also in Uzbekistan. Would love to see Hungary some day too..
origin of Sharqi architecture ?